Near Field Communication enables short range communication between compatible devices. You may have heard of NFC payments (tap to pay). If you've taken the self-guided tour of the STE(A)M Truck platform, you used NFC enabled tablets to learn about our various tools, materials, and vehicles. There's a lot of potential for NFC use in the classroom. We've had a number of teachers and administrators ask for more guidance and resources, so we've put this page together. Here you'll find a variety of resources, tips and tricks that can help you make the most out of NFC! In short, you'll need a transmitting device (NFC enabled phone), a receiving device (NFC tag), and some sort of content. Using one of many NFC apps, you'll be able to program tags to perform a variety of tasks. Follow the link to find some helpful resources. It sounds great, but I need ideas! There are endless possibilities. Students could be awarded badges or have their attendance tracked, you could set up a daily routine of 'do-now' activities that students complete on their own phones, or go ahead and take a page out of our book and have self-guided stations with NFC enabled tablets. Check out some of the resources below for more ideas. How Do I Get Started with NFC? We've compiled a few resources as a starting point for setting up NFC technology in your classroom. Check them out below. Some of these articles specify particular products. Keep in mind that generally, NFC tags, sticks, fobs, etc. are all very similar no matter the brand. It might be a bit of a learning curve, but a technology like this has the potential to take much of the legwork out of some daily, routine tasks. Important side note: While most Apple devices have NFC technology, so far they do not allow users to make use of it (they use it exclusively for Apple Pay. You'll likely need to use Android devices). What is NFC and How Does it work? This article/video from Android Authority provides a high level overview of NFC and goes on to explain some of the science behind NFC. It also lays out some comparisons between NFC and Bluetooth/WiFi. 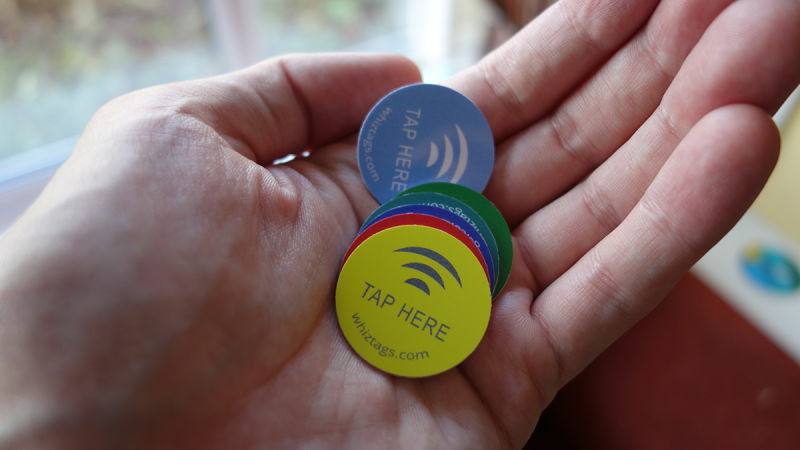 Check out this HowToGeek article which lays out a high-level 'how-to' on setting up NFC tags with an Android phone. This very short video from TrendBlog.net gives a quick tutorial of the NFC Task Launcher App, another one of many potential apps to program your NFC tags. NFC Today answers some frequently asked questions. Of course the technology sounds exciting, but if you're going to jump the hurdle of introducing a new technology into the classroom, you'll want to make sure you've got plenty of ideas to make the most of it. Start here with these resources we've put together. Set up as a sort of scavenger hunt, Central College in Nottingham created interactive posters with crowd-sourced definitions of nearby objects (language outside the classroom in a contextualized way!). These ideas don't come directly from a teacher, but that's what STE(A)M Truck is all about - collaborative communities! This author provides a couple clever starting points that could work in your classroom. 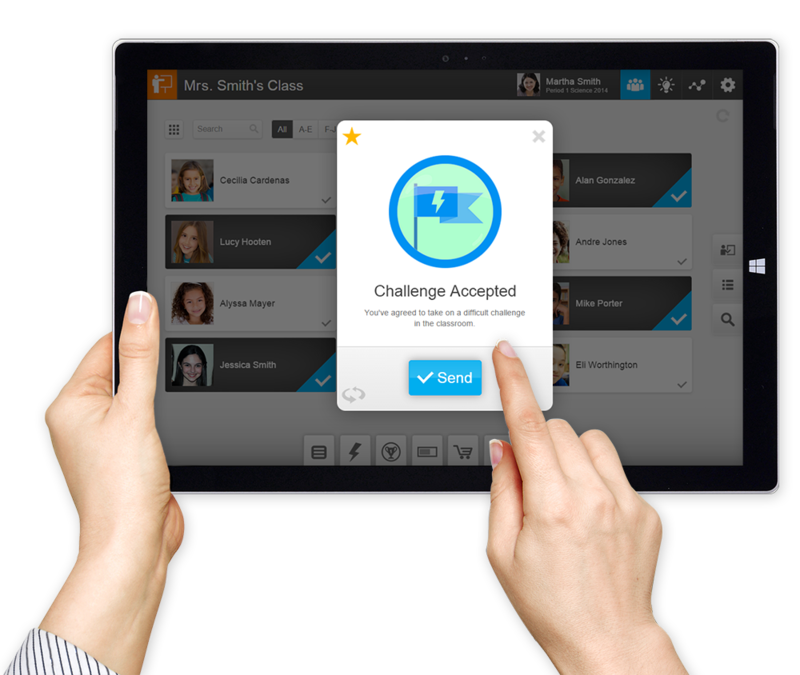 There are quite a few companies that are jumping on this new technology and they're marketing products that seek to provide a complete, ready-made package for teachers. For some teachers, it's exactly what they need. While STE(A)M Truck doesn't endorse a particular product, RedCritter Teacher seems to come up a lot so it's worth mentioning. They incorporate badges, wearable tech, skill tracking, etc. Check it out and see if it's right for you. Sign up with your email address to receive news and updates about STE(A)M Truck. Thank you for signing up. You will now receive our latest updates. Thank you for constantly being curious.